WAFFLES: Hey Boss, I'm J.R. Mewing! How do you like my hat? KATIE: Don't you mean J.R. EWING??? WAFFLES: That's what I said! I'm JR Mewing. 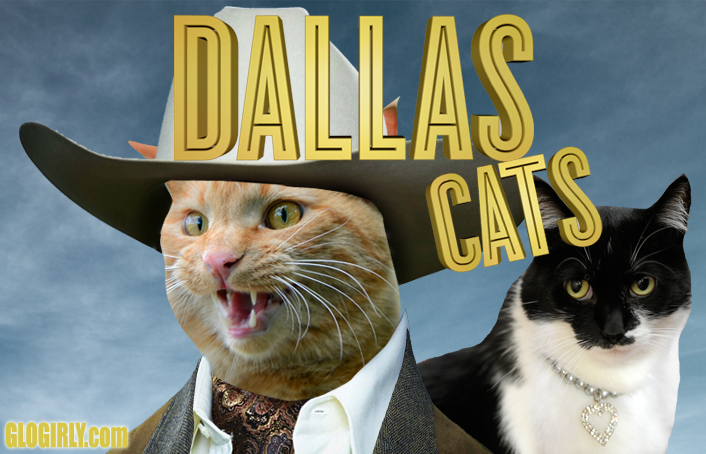 KATIE: Waffles, I'm pretty sure there were no cats on DALLAS. And J.R. wasn't exactly the mewing type. Watch out Waffles! 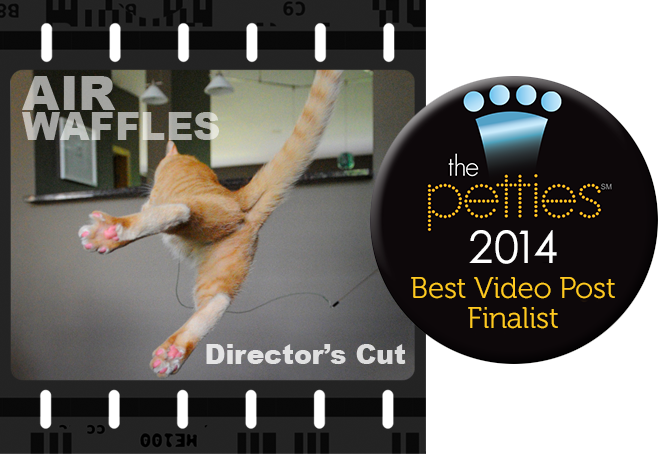 I'd hate to have to wait all summer to find out what happened to Waffles!!! Katie, did you shoot JR? MOL! Luv it! 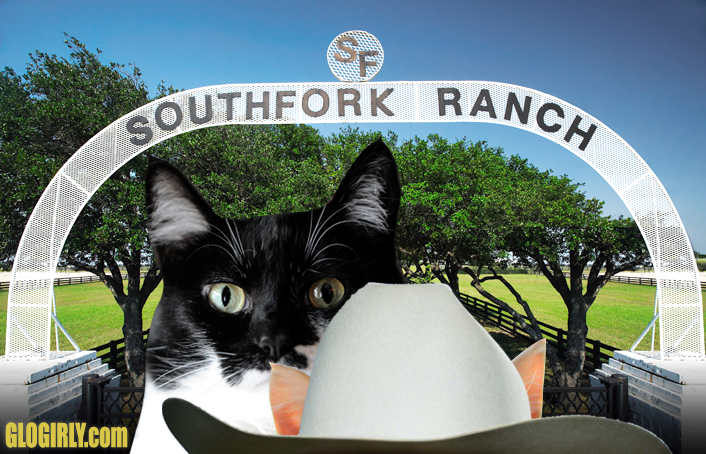 Southfork is really close to where we live - dey held momma's prom there. 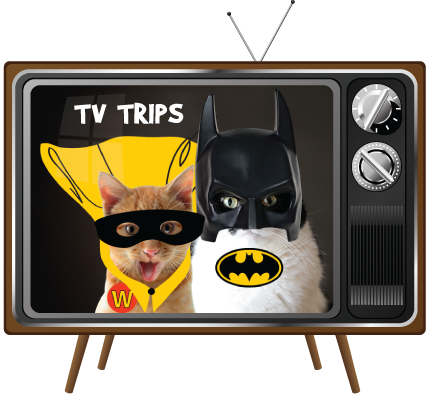 My human has a traumatic experience regarding that show... and the weird thing is, she has never seen it! Ear worm, oh the theme song, oh howdy, JR Mewing, ha, thanks for the much needed giggle. I was addicted to Dallas when I lived there. I even got to be an extra on one of there episodes. You might like to know how the local news station handled JR's shooting - they reran the short take on the shooting and his fall in fast motion over and over and I think he actually died 12 times on the clip. Don't get shot, Waffles!!! MOL!!! How is the oil biz Waffles. We are purrty sure we know who is going to shoot J.R. Mewing? U 2 crack us up. Katie looks good with the bling, but I think she needs bigger hair. J.R.Mewing...HAHAHAHAHA!..Watch out Waff..that pretty girl behind you might have a gun..a catnip toy gun..HAHA! Yep, JR did enuf hissing and growling at people. Works for us! HahaMeow! Our Mommy is laughing her asterisk off! A Waffle Ewing looks cool! Don't let them change your name to Sue Ellen, Katie! I love Dallas! My best memory with my mom growing up in the 70's. Every Friday night watching Dallas with my mom. Katie, you sure do look like a rich Southfork feline!! Waffles, it looks like you are getting used to that hat. We sure do miss watching Dallas! Thanks for the memories! Purrs from the Zee and Zoey Gang! If you're Dallas cats now, you can come visit me. I live right by Dallas! You look natural in a ten-gallon hat.